The titular villains from 1987’s “Predator” – dreadlocked alien manhunters with the power of invisibility – are back on Earth in the new sequel “The Predator,” only this time they have dogs. As the writer of “Lethal Weapon” and the writer-director of such films as “Kiss Kiss Bang Bang” and “Iron Man 3,” Shane Black has a gift for smart-alecky dialogue. But in his effort to inject fresh blood into this gory franchise, which has already seen four sequels (including two “Alien” crossovers), the filmmaker can’t seem to summon up that old Black magic. Set in the present day, about 30 years after the action of the first film, the new film immediately beats you over the head with leaden spectacle, opening with a battle between alien spaceships. In a departure from “Predator,” which took its sweet time introducing its extraterrestrial visitors, you see the monsters here almost immediately. That generic opening sequence could have been plucked from any number of other science-fiction movies. Fortunately, the film’s human characters do begin to gradually come into focus. Chief among them is Quinn (Boyd Holbrook), a mercenary who has discovered an alien spaceship that crash-landed in rural Georgia. Quinn sends some of the wreckage back home, where his 6-year-old son (Jacob Tremblay), who longs to reconnect with his mostly absent father, tries to figure out how the alien technology works. Into this broken-family dynamic, Black introduces group of veterans suffering from PTSD. 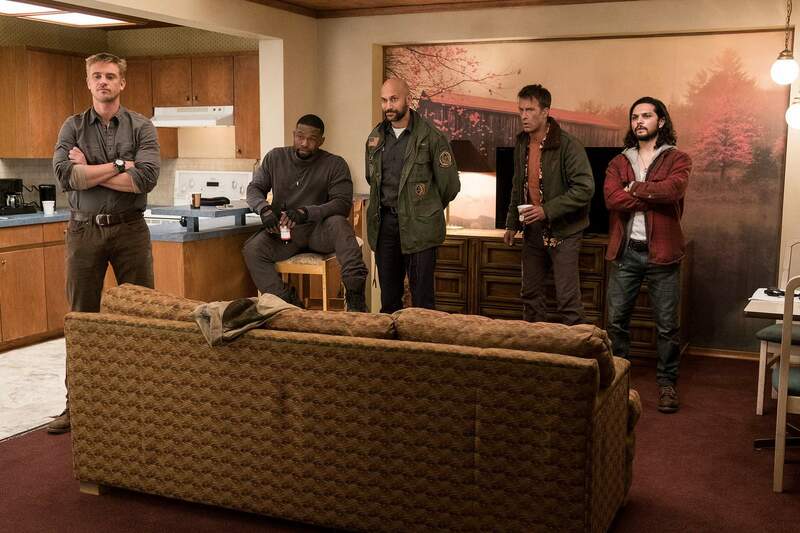 These characters, who include the snarky Coyle (Keegan-Michael Key) and tough guy Nebraska (Trevante Rhodes), are there for a little comic relief – a little too much, in fact – and never seem to come together as a team. Humor is Black’s signature. One scene involves an argument about whether it’s appropriate to call the aliens “predators.” However cool the moniker, they hunt less for survival than for sport – “like a bass fisherman,” explains Olivia Munn’s Casey, an evolutionary scientist recruited to evaluate a captured specimen of the alien race. Such jokiness is well within the bounds of the series’ formula, as are the buckets of blood. Still, “The Predator” lacks the electric charge that made its predecessors pulpy fun. 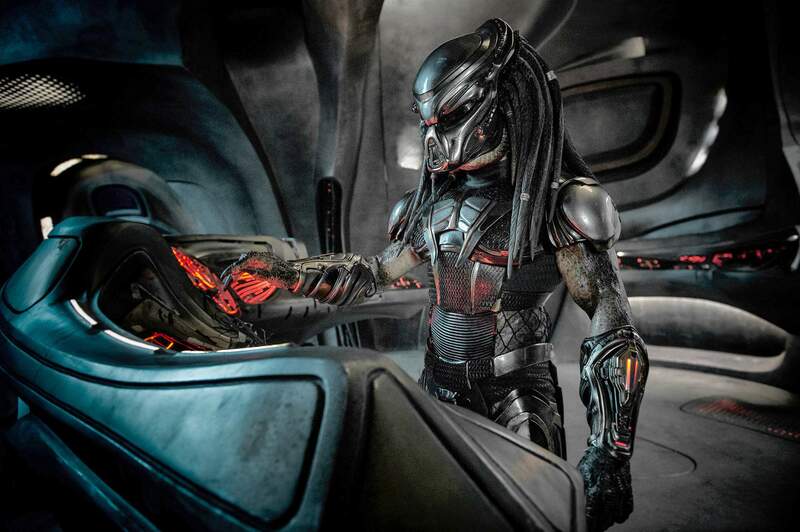 Black, who appeared on-screen in the original “Predator,” was reportedly cast in that movie because producers were hoping that the “Lethal Weapon” writer would help fix the screenplay. (He refused, so his character was the first to be killed off.) How ironic, then, that Black’s new screenplay is short on two things: the tantalizing distance that lent the creatures a sense of mystery in the first film, and the mood of delirious mayhem that made “Predator 2” an enjoyable, if over-the-top, popcorn flick. In a recent interview, Black opined that “You always feel yourself to be roughly 25” (his approximate age when he wrote “Lethal Weapon” and appeared in “Predator”). It’s a strange comment, coming from someone whose filmmaking chops have shown real maturity, especially in “The Nice Guys,” Black’s 2016 return to his buddy-movie roots. With “The Predator,” something’s different. The alien invaders may have evolved, but Black’s writing has taken a step backward.